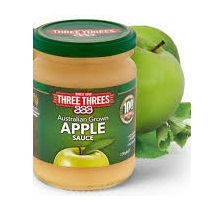 Ingredients: Australian Apple (90%), Sugar, Food acids (300,330,331). Perfect for Cooking or as a Condiment. No Added Colours or Flavours. No Preservatives.